Start the year right this 2017 with the gift of comfort and indulgence for your loved ones at F1 Hotel. 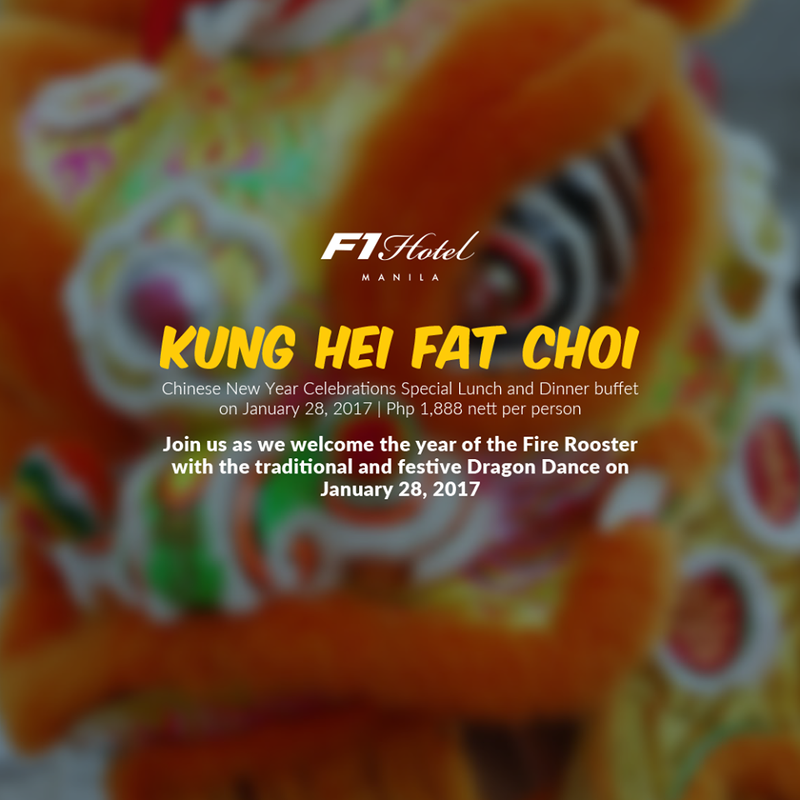 Welcome the year of the fire rooster with the traditional and festive dragon dance on January 28. Continue the celebration at F All Day Dining Restaurant and have a taste of China for P1,888. Make those chopsticks work and indulge on your favorite Chinese inspired dishes at the special lunch and dinner buffet. Make it an auspicious staycation all weekend long for P5,700. F1 Hotel is at 32nd Street, Bonifacio Global City. For inquiries and reservations, call 908-7888.